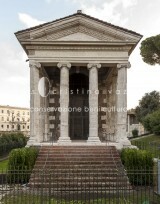 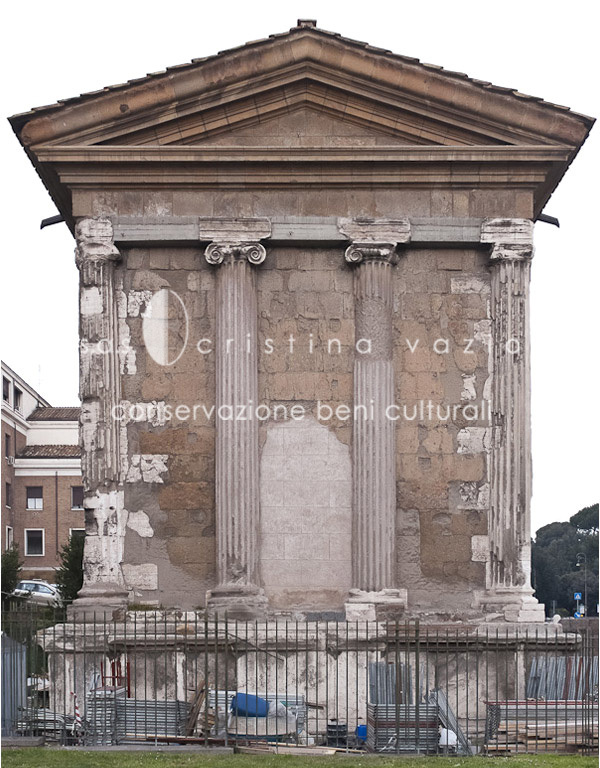 The Temple of Portunus, otherwise known as the “rectangular temple” or Temple of the Virile Fortune, rests on the slopes of Palatine Hill in the area of the ancient Forum Boarium. 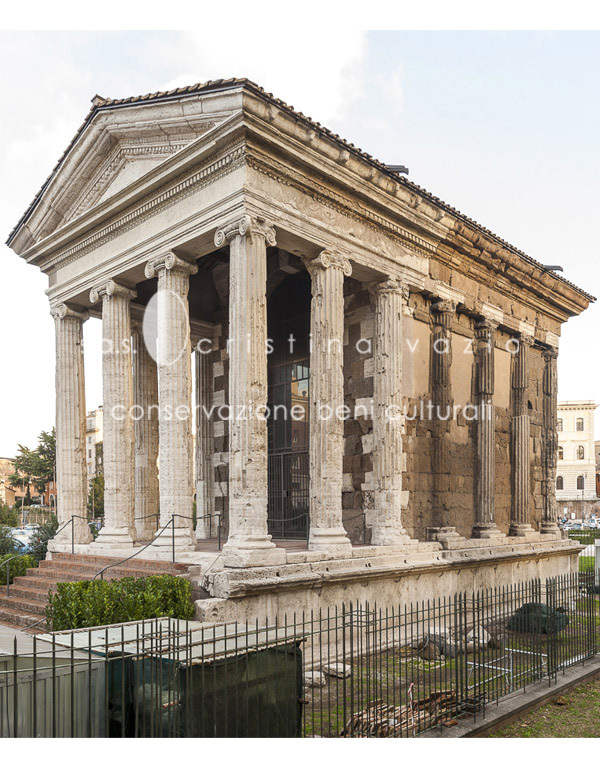 According to current studies, the temple dates to the IV-III century B. C., and went through several decorative stages during I-II century A. D. Between the VIII and IX century A. D., the temple was converted into a church and dedicated to Santa Maria Egiziaca (Saint Mary of Egypt). 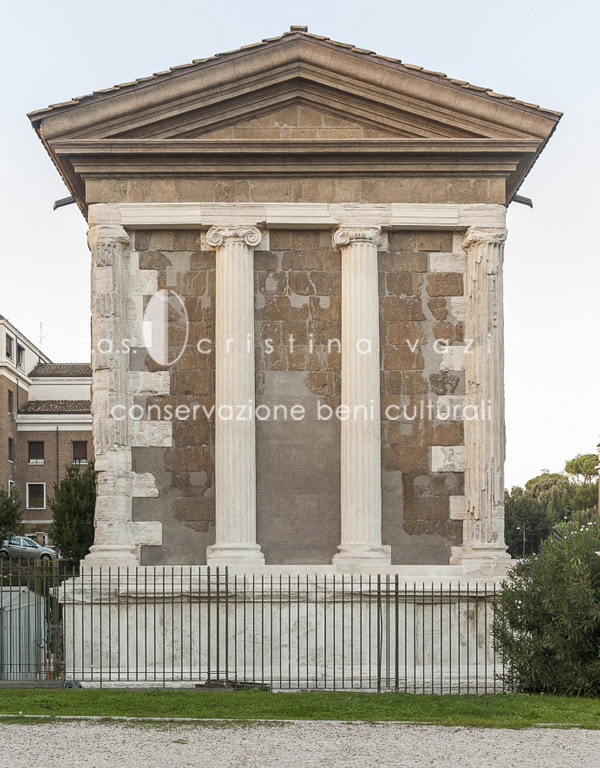 The church endured multiple transformations and was incorporated into adjacent buildings until 1921, when the Architect Muñoz, during the demolitions for the creation of present-day Via Petroselli, had it demolished to uncover the structure of the ancient Roman temple. 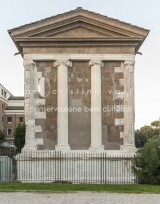 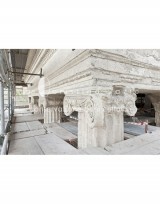 The restoration of the temple won the World Monument Watch in 2004. 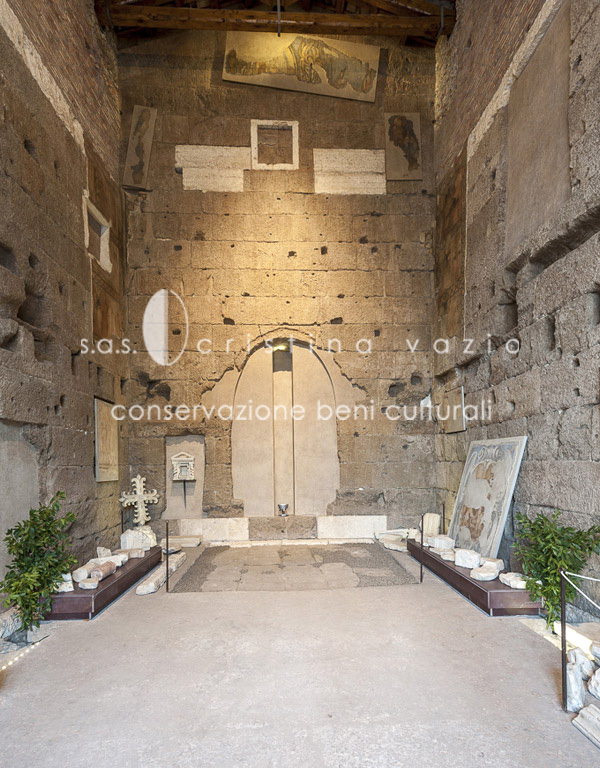 After this Prize, in 2006 the temple has been included in the funding programs of the World Monument Fund and the Soprintendenza Speciale ai Beni Archeologici di Roma. 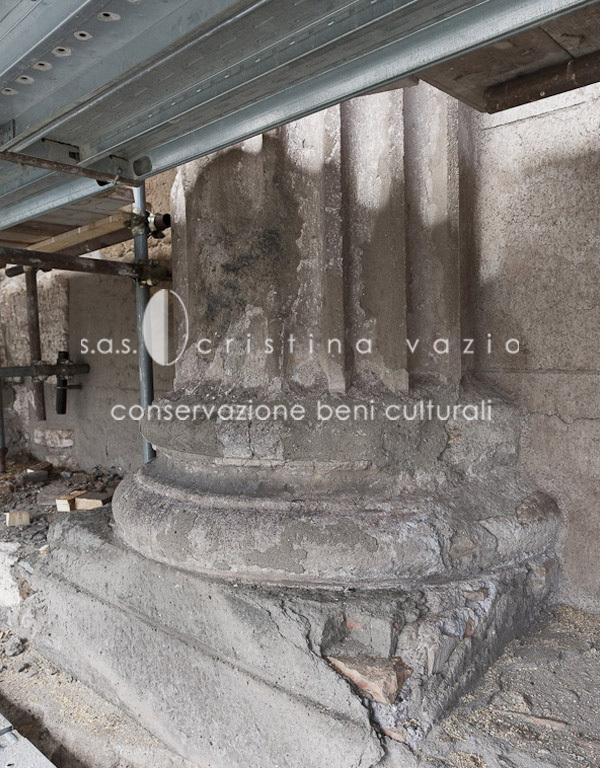 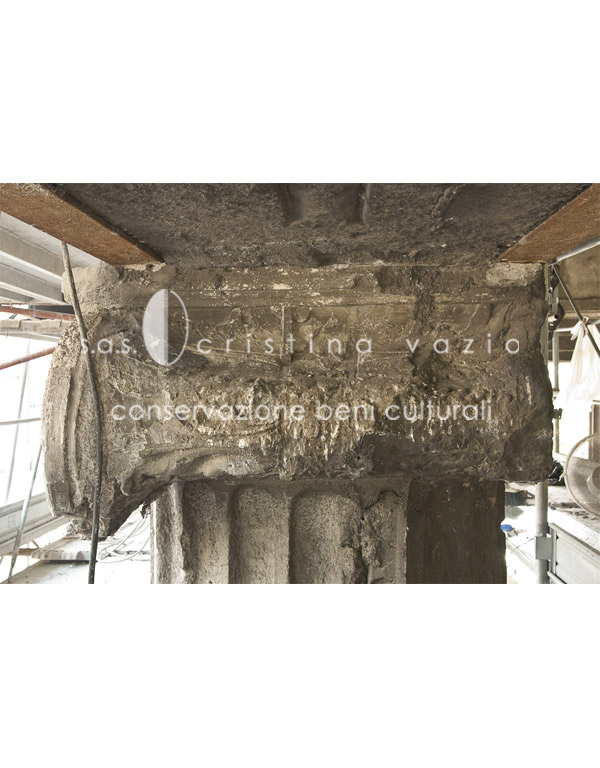 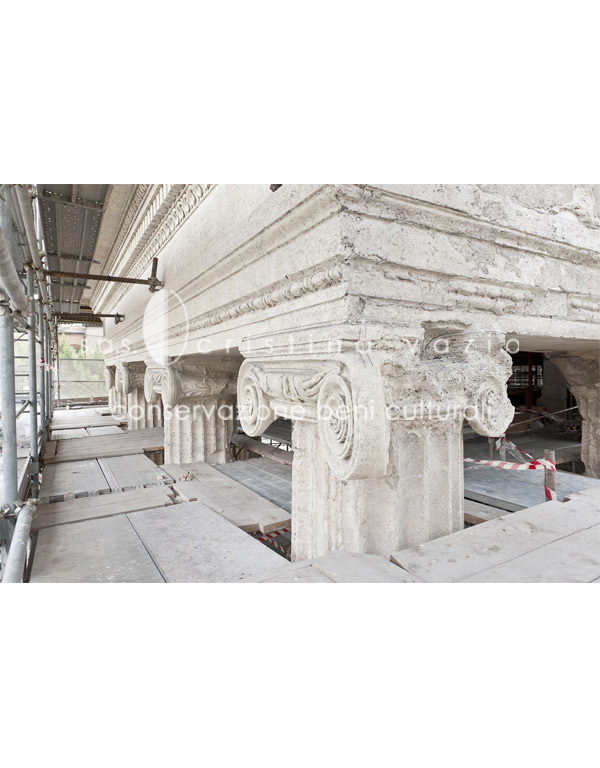 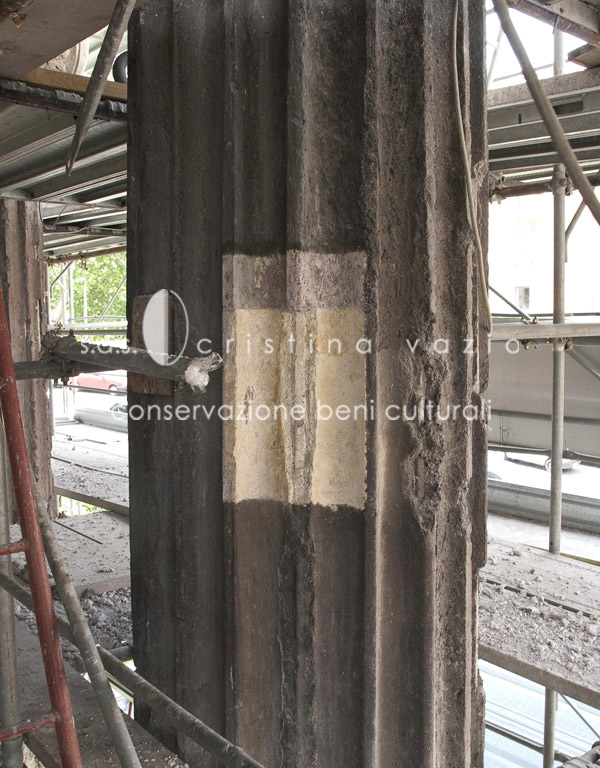 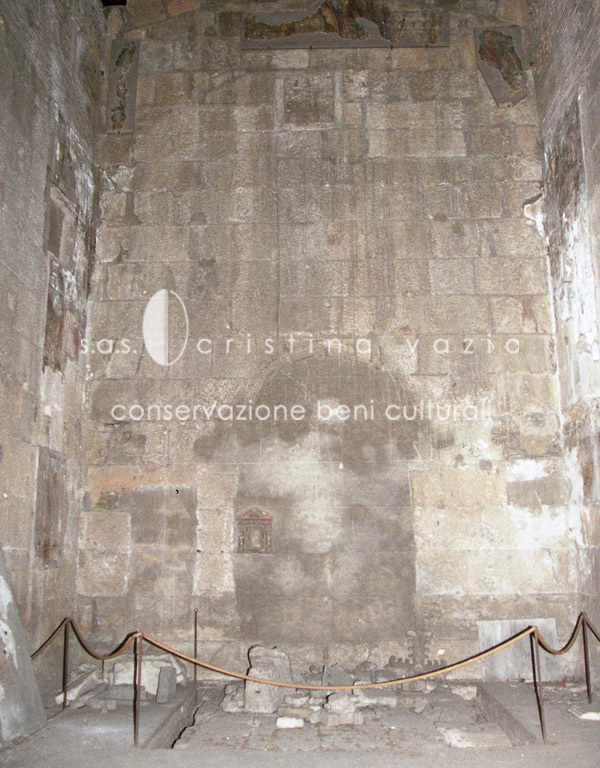 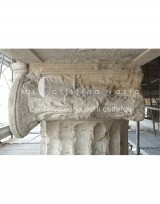 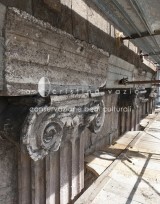 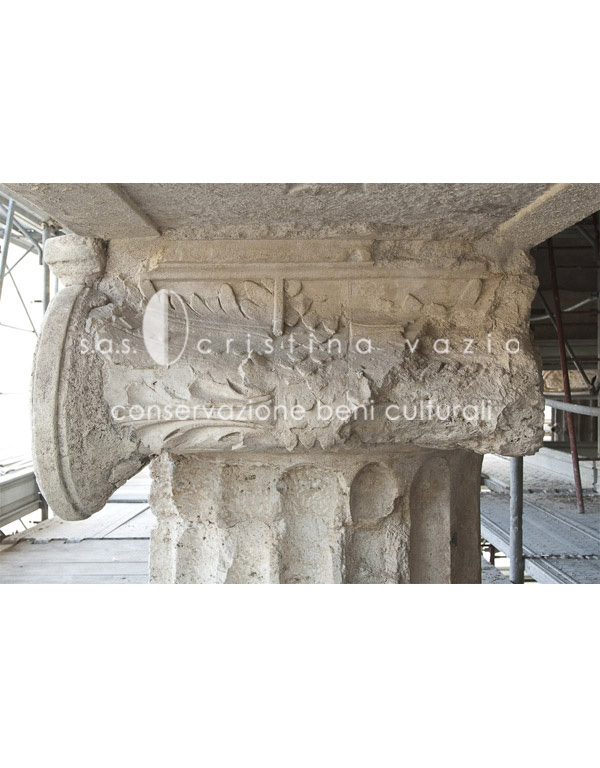 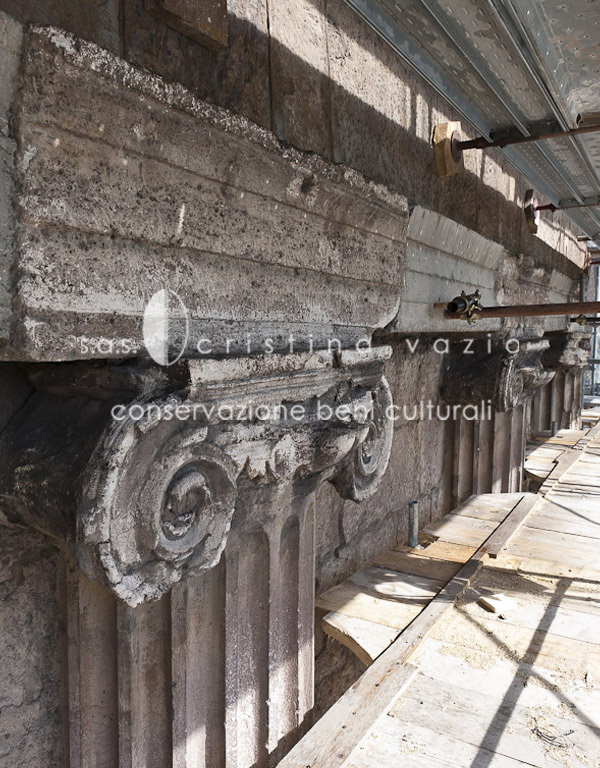 These fundings enabled the restoration of external and internal architectural surfaces in tufa, travertine and stucco and of the internal frescos. 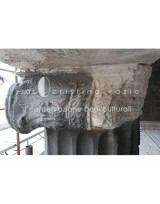 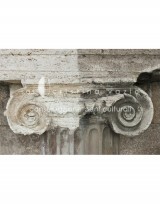 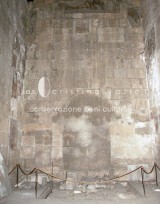 (see “Projects”, “Wall paintings”, “Stacchi e supporti”). 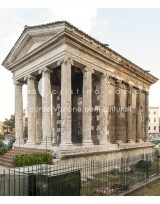 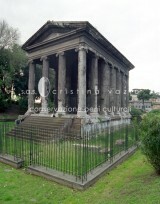 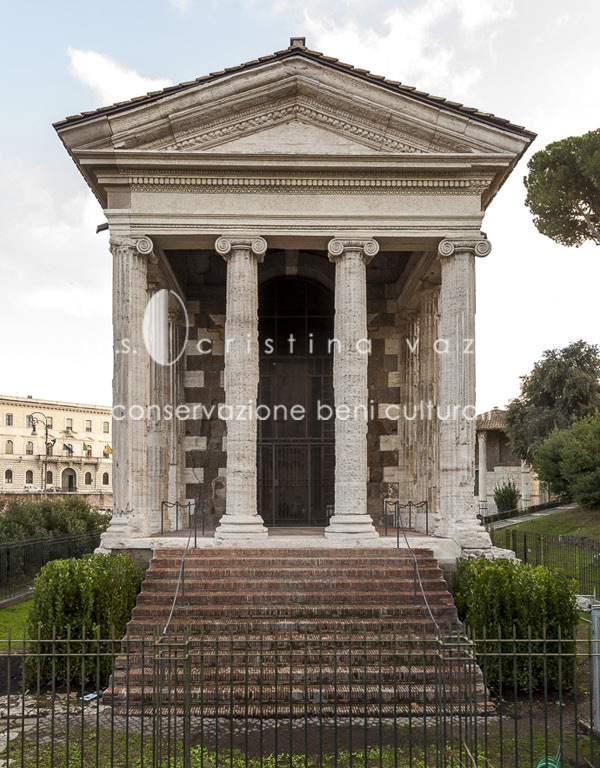 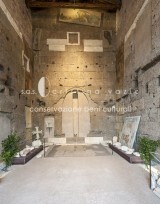 In 2013 the temple won the First International Prize for the Enhancement of the Cultural Heritage, Italian Heritage Award for the archaeological restorations.